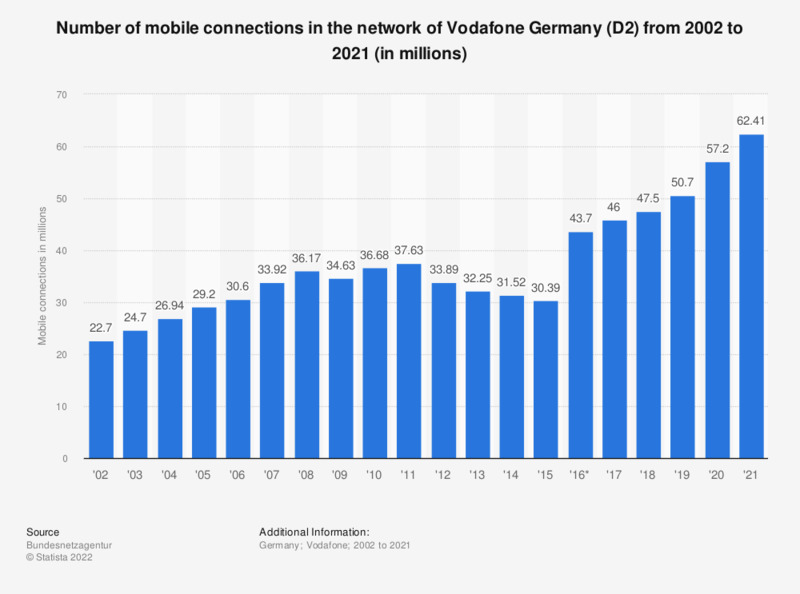 This statistic shows the number of connections in the mobile network operated by Vodafone in Germany from 2002 to the third quarter of 2018. The figures refer to the number of active SIM cards in circulation and include prepaid as well as postpaid contracts and SIM cards used for automated communication between machines (M2M). In 2018, there were roughly 46 million mobile connections in the Vodafone D2 network. * The source notes the following: "The increase in participant numbers is due to a different counting method." Up to 2015 only vodafone customers were counted.